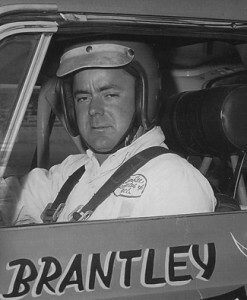 Bruce Brantley was born in Wrightsville, Ga. in 1939, but moved to the Atlanta area at an early age. There he began to learn about engines and mechanics in general. In 1961 he ran his first race and became a driver to contend with throughout his twenty year racing career. Bruce ran mostly Nascar sanctioned races at tracks like the Peach Bowl (Down Town Atlanta…yep), Lakewood Speedway (Former Track Champion) , Jefco (Now called Peach State Speedway), Augusta, and Middle Georgia Speedway. He also raced at Atlanta International Raceway( Now Atlanta Motor Speedway) and Daytona. Bruce drove many different kinds of cars, from the Super Modified to the Dodges and Pontiacs built for Daytona. Bruce and his wife Sue now reside in Lawrenceville, Ga. and they are both very much involved in the activities of GARHOFA.